JCI Manila (Manila Jaycees) hosts the Third Entrep Summit on August 28, 2010. Gates open at 8:00 AM at the Center Stage Cinema, SM Mall of Asia. 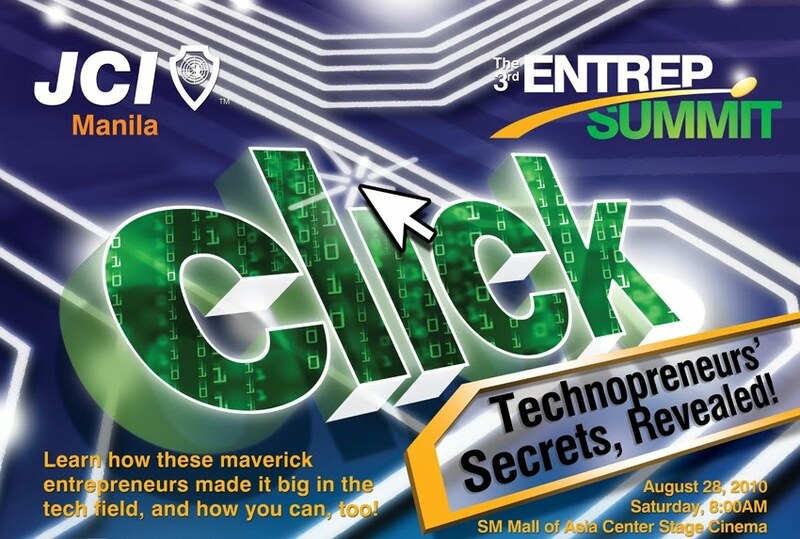 This year’s theme is “Click, Technopreneurs’ Secrets, Revealed” which features “trailblazing entrepreneurs who have been successful in tech and digital media related endeavors”. August 19, 2010 – A press conference for the media partners and bloggers were held at the SM Megamall to encourage tech enthusiasts to attend the Entrep Summit to further take technology businesses to the next level. 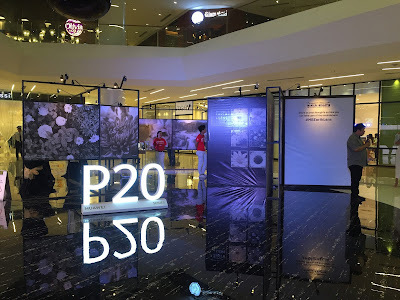 The speakers also aim to support Filipino Entrepreneurs to determine their personal passion, creativity and help them create a more profitable business model. The Entrep Summit also serves as a “gathering of prominent entrepreneurs from different fields who share their experience and life lessons in the hopes of encouraging or inspiring individuals to pursue their entrepreneurial aspirations”. Speakers consist of Lex Ledesma (Proprietor, Whistlestop Restaurant), Jay Fajardo Founder & Former CEO, Airborne Access), Cesar Flores (President, Smartmatic Asia), Abe Olandres (Professional Blogger & Owner, YugaTech), Dustin Andaya (Chairman & Marketing Director, Island Rose), Ibba Bernardo (Founder & President, Mothercode), Nix Nolledo (Co-founder, Chairman & majority shareholder: Pinoyexchange.com), Martin Lichauco (Managing Partner, Global Gateway Venture Capital (G2VC)), Paco Sandejas, Ph.D (Managing Director, Narra Venture Capital). 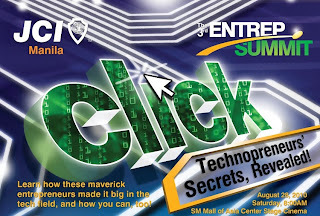 Entrep Summit 2010’s Ticket Price is P1,200.00, available at Ticketnet outlets. Proceeds of the Summit will benefit the “Dare to C.A.R.E” Program for the Smokey Mountain community, as part of JCI Manila’s fundraising and community outreach. Visit their website at http://www.entrepsummit.com/ for more details.